Pink Street welcome to the market this two double bedroom house in Croft Road, Portsmouth. The property is being offered with no forward chain and comprises of two reception rooms and a downstairs bathroom. Ideal for first time buyers!  Call Pink Street on 02392 864555. LOUNGE 12' 02" x 9' 76" (3.71m x 4.67m) Textured ceiling, double glazed window to the front aspect, radiator, stairs to the landing, through into the inner hallway. DINING ROOM 9' 72" max x 9' 03" (4.57m x 2.82m) Textured ceiling, storage cupboard, double glazed window to the side aspect, radiator. KITCHEN 12' 17" x 7' 97" (4.09m x 4.6m) Textured ceiling, base units, stainless steel sink and drainer unit, double glazed window to the side aspect, space for cooker, washing machine, double glazed door to the side aspect. BATHROOM Textured ceiling, obscure double glazed window to the rear aspect, shower cubicle, pedestal wash hand basin, low level w/c, towel radiator. BEDROOM ONE 12' 02" x 9' 76" (3.71m x 4.67m) Textured ceiling, double glazed window to the front aspect, radiator. BEDROOM TWO 12' 04" x 9' 76" (3.76m x 4.67m) Textured ceiling, double glazed window to the rear aspect, radiator. GARDEN Mainly laid to decking, enclosed.